Bureau de Change – This should be about one of the most familiar topics especially at the public domain, well known to a common man on the street. You should have at some point had reasons to sell or buy dollar etc, if you aren’t buying you probably know someone who’s always buying or selling. To bring this topic down to the common man further, we are actually talking about Bureau de changepopularly known as ‘black market’ in Nigeria. Where can I exchange currency for free and many important questions will be answered. Let’s start from here, bureau de changeor currency exchange is a business where people can exchange one currency for another. In fact, in bureau de change you buy and sell currency, simply put, it’s the business of buying and selling of currency via physical means. Give me foreign currency, I give equivalent in local currency controlled by exchange rate, as simple as that. Example 1: Ngozi’s uncle Emeka came back from the US for Christmas in December, he gave Ngozi $100 for her Christmas celebration. As it stands, this is Nigeria where our local currency is denominated by Naira. You cannot go into the Nigerian market to buy goods then pay with dollar. It then stands that Ngozi will have to change/convert her $100 to Nigerian naira, to this, Ngozi will have to go to Bureau de change to change this dollar. This dollar will be converted with recourse to prevalent exchange rate as at the time Ngozi presents her US dollar for conversion. There’s no special arrangement in this market, you’ll get to realize this by the time I’m done explaining this. 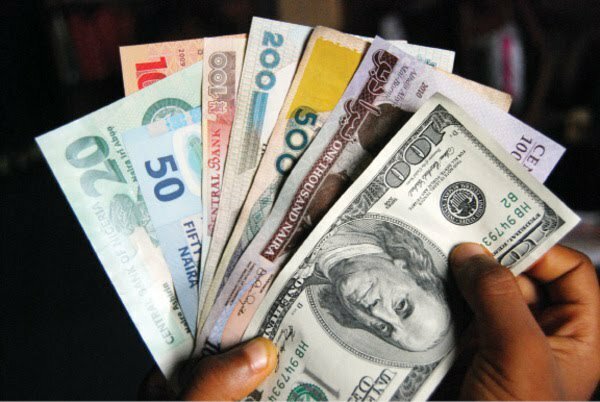 Buying from Bureau de change: This is an arrangement where Nigerians or foreigners, who could be business men, aliens or sojourners will want to source foreign currency usually the US dollar for travelling purposes either as Personal Travel Allowance (PTA) or as Business Travel Allowance (BTA). If you want to travel outside Nigeria, you will have to convert your Naira to dollar since you can’t spend naira outside Nigeria, this apparently give rise to foreign exchange with the Bureau de change. Again, the US dollar could be sourced by these business men who would want to pay their suppliers abroad for goods and services which they’ll thereafter import into the country. This position stands with the United States dollar because it’s a currency legally accepted worldwide, thus an acceptable means of payment and settlements for goods and services. The rate at which Bureau de change (BDC) sales USD is usually higher than the rate at which they purchase from you, don’t ask me why, of course that’s business they make their own money too, after all trade is centered around revenue generation. Selling to Bureau de change: This arrangement occurs when by whatsoever means you happened to be in possession of a foreign currency, you will need to convert this currency to Nigerian naira so you can finally spend it. At this necessity you will have to go to a Bureau de change for currency conversion. Refer to example 1 above for clarity. Like I said in my analysis above, exchange rate is a parameter in which the conversion is dependent upon, it’s like a unit of measure of value of a commodity, thus forms the basis of conversion. Example 2. Still using Ngozi’s $100 as a case study, on arrival at the bureau de change terminal, the first question Ngozi will likely ask the exchanger is “what does your rate goes for “. And the exchanger will give her a rate prevalent at the market situation, if Ngozi feels his rate is too poor, she’ll kindly shop for another exchanger. What does that tells you, “the capacity of the currency is tied around the exchange rate”, so the higher exchange rate Ngozi could sought out the higher the local currency (NGN) she’ll will take home at the end of the day. So it’s a business of interest, this is why Ngozi will like to sell at the highest exchange rate obtainable. I hope I did justice to that. Note: The rate is dependent and determined by the market forces of demand and supply, the higher the supply of foreign currency, the lower the rate. In Nigeria at the moment, N1 NGN to $1 is being valued at about N360 as at the time this article is being written. This is usually a little bit sophisticated kind of currency trade for those who are not internet oriented. There are so many merchants responsible for selling and buying foreign currency online other than the usual Bureau de change. It has become of uttermost importance to seek where you can exchange your foreign currency close to your place of residence, while you are selling, remember others are buying. General note, you can locate a currency exchanger in any big market in your area. Just ask where you can change your money. But be careful with whom you ask, be security conscious. Like I said initially, exchange rate is determined by the market forces of demand and supply. The higher the supply of USD, the lower the price. The lower the supply, the higher the price and viz versa. From the table above, you can see the conversion rates of different currencies against the naira as at the time this article is being written. These rates are subject to change, but the changes may not really alter a reasonable value accompanied by market forces of demand and supply. From here now, you can deduct your expectations on exchange rate at any point for the above currencies +/-. You can as well always visit https://www.abokifx.com for your daily exchange rate. The huddles have been bared, Bureau de change forms a vital part of the Nigerian economy, in fact, CBN is considering giving International Money Transfer Operation license to these BDCs for ease of accessing these funds. As well to enhance financial inclusion. Let me have your questions in the comment box below, remember to share this article as well.